Uma Bharti said in Lok Sabha the KBLP will irrigate an area of 6,35,661 hactres annually in three districts of Madhya Pradesh and four districts of Uttar Pradesh. 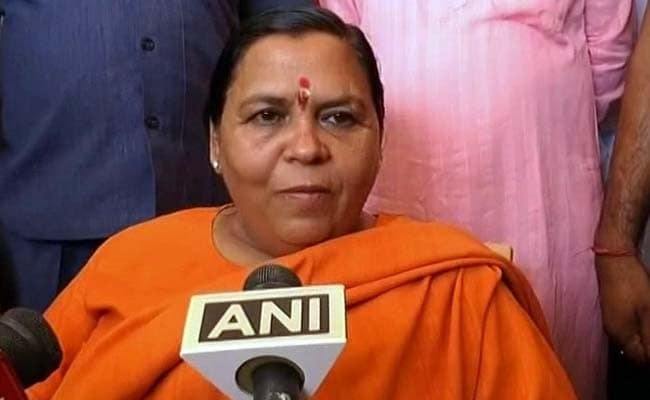 New Delhi: The governments of Uttar Pradesh and Madhya Pradesh should work out a water-sharing agreement to take the Ken-Betwa River Link Project (KBLP) forward, Water Resources Minister Uma Bharti said today. Ms Bharti said in Lok Sabha the KBLP will irrigate an area of 6,35,661 hactres annually in three districts of Madhya Pradesh and four districts of Uttar Pradesh. In addition, the project will provide 49 million cubic metres of water for enroute drinking water supply to a population of 13.42 lakh in UP and MP. The project will also generate 78 MW power, she said during Question Hour. The status of the project was reviewed at a high level meeting on July 4 with top officials of both the state governments where the MP government proposed that the Kotha barrage, Bina complex and Lower Orr Dam be included in the project. While the Lower Orr project is under examination of the Central Water Commission, the Detailed Project Report of Bina Complex is under appraisal of the CWC and the DPR of Kotha barrage has been submitted to the CWC. "This would also affect the initial allocation of water between the two states as per the 2005 agreement. It was therefore decided that both the state governments should work out an agreement on mutual water sharing to take KBLP forward. "The implementation of KBLP would be taken up once the two states have reached an agreement on water sharing," she said. Ms Bharti said the Centre was ready to take up similar river linking projects in other parts of the country.